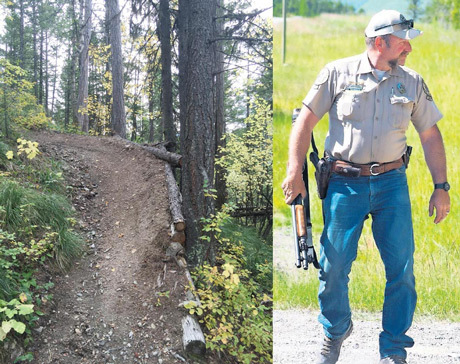 When Brad Treat was killed after slamming into a grizzly bear at high speed on his mountain bike, an interagency Board of Review urged agencies to assess the reasonableness of allowing mountain bike access in grizzly bear habitat. It recommended agencies determine whether vegetation allows adequate sight distances along trails before allowing mountain bikes on them. The Flathead National Forest has stood this on its head and is instead proposing to create 50-meter sight distances along trails and trail tread widths of up to 4 feet so mountain bikes can be accommodated. And a local mountain bike club of course wants to help! This will turn intimate hiking and horseback riding trails into ugly wide swaths through the woods and only encourage faster mountain bike speeds! 1. Not allow mountain bikes on the hiker and horseback trails illegally modified by mountain bikers in the Hungry Lion area! 2. Not allow the widening and straightening of trails for mountain bikes, ruining enjoyment of them by hikers and horseback riders! 3. Require mountain bikers to slow down rather than expect wider trails! 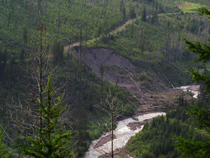 The Flathead is about to re-create hiking and horseback trails in the image of mountain bikers. ONLY YOU CAN STOP THIS! Please dash off a quick email TODAY! Hikers, horseback riders and wildlife will appreciate it. Click here for more background on this issue and the Hungry Lion Project.